The acccomodation, fishing lodges, hotels and castles listed below, have been carefully selected. They are ideally situated for the varied fishing in Scotland we offer. Users of our site can enjoy our tour operators trip design service. From touch-down to take-off, we can create a complete package of fishing, travel and accommodation and take away the hassle. We are highly experienced in creating itineraries and designing mixed fishing and touring vacation to overseas guests. A lot of these hotels and properties come with trout and salmon fishing nearby and exclusive to the hotel. 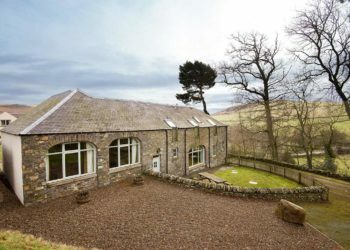 Luxury accommodation within an Upland Sheep Farm close to Edinburgh. Central to our fishing portfolio Located a few miles from River Tweed and 30 minutes from our private pike loch, private trout loch on site. UK +44 7734 810 706 Toll Free USA - 800-972-0408 or email an enquiry to book this fishing accommodation. 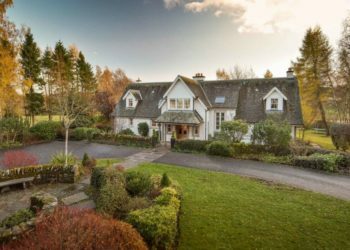 Situated close to the centre of Aberfeldy, Dun Aluinn is a 5-star exclusive use home. An ideal fishing or shooting lodge, offering space for 18 guests, in 9 beautiful bedrooms, all with individual design features. The accommodation is close to the River Tay, for salmon, sea trout and trout and many super hill lochs offering wild brown trout fishing. 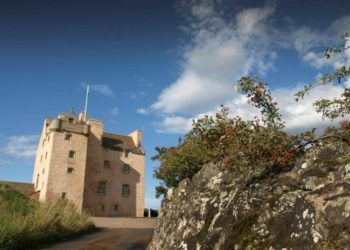 Turin Castle offers luxury exclusive fishing accommodation in Scotland. Salmon and Sea Trout fishing on the River North Esk, South Esk, River Tay and River Dee fishing. Grouse Shooting and deer stalking in nearby estates. Macnab is available. Ideally located for the River Dee, River Tay and the lochs in the North East of Scotland. 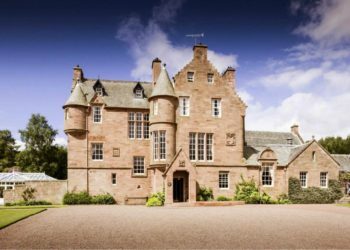 Candacraig House is a Baronial Home set in the majesty of the Cairngorms National Park and with easy access to the River Don, for salmon and wild brown trout fishing. Guided Salmon Fishing on the River Dee can be arranged on a number of beats. Candacraig has a small lochan(lake) and also nearby a larger trout fishery ideal for corporate fishing events. 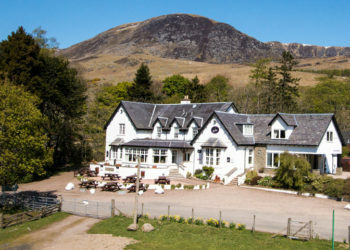 Cozy, warm and friendly hotel in a Hidden Gem secluded corner of Scotland. Fly Fishing for salmon, sea trout and brown trout on the river South Esk. Deer Stalking, Grouse Shooting, and driven pheasant shoots. Deer stalking with a camera, guided hill walking in the Cairngorm national park. 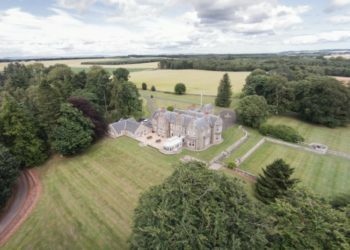 Unique castle accommodation 20 miles from Edinburgh. Relaxed and private with a huge choice of activities nearby. A prefect choice for a mixed golf, fishing and touring trip to Scotland. Ideal location for the River Tweed, Predator pike loch, trout lochs in Berwickshire and superb sea fishing from a chartered boat. 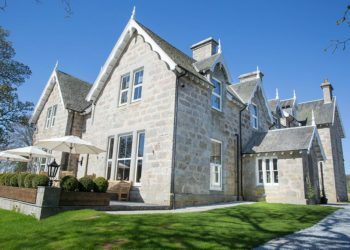 Award winning, stylish luxury accommodation within private estate, close to the fishing on the River Tay and much of our fishing and touring portfolio. A perfect stopping place en route to the West Coast and Scottish Highlands. 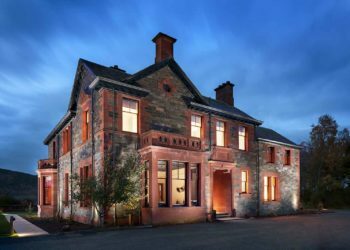 Award winning chef, local produce and a real Scottish getaway in a first class hotel. 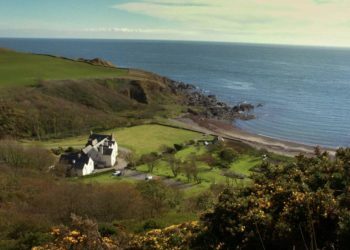 Stunning romantic hidden gem lodge, facing the sea, with private beach and within easy reach of sea fishing trips in Galloway, spate rivers for sea trout and salmon and pike lochs in South West Scotland. 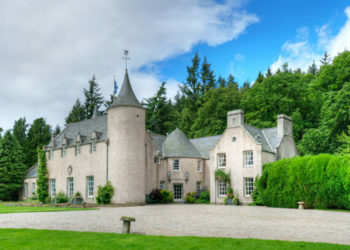 Baronial Castle accommodation set in beautiful woodlands and gardens. A perfect base south of Edinburgh. Perfectly located for the River Tweed and Pike loch. A short drive from Peebles and Stobo Castle Health Spa. 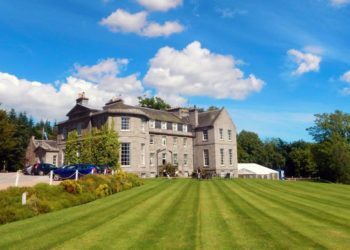 Raemoir House is a charming period house l8 rooms and superb cuisine, set in beautiful grounds. 20 minutes from our River Dee salmon beat. The River Don is nearby, as is our corporate trout fishing to the west of Aberdeen. Located in the vibrant and cultural hub of Leith in Edinburgh, The Pavilion is located close to restaurants, pubs and cultural attractions. Open All Year. Parking and near the waterfront. Easy for River Tweed, River Tay. Private Pike Loch and trout lochs around Edinburgh.